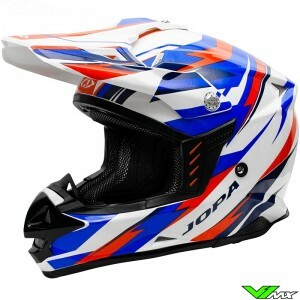 The Dutch company Jopa produces helmets for motocross riders. There are multiple lines available with beautiful designs. 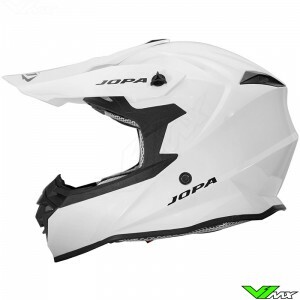 Check out the full range of Jopa motocross helmets below. At the bottom of the page you will find more information. Jopa is a Dutch company that specializes in producing motocross gear. 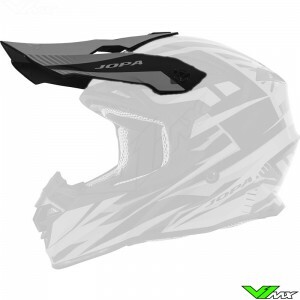 In the range of Jopa is also an affordable offroad helmet, which is called Hunter. 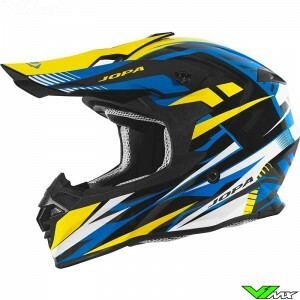 This Jopa mx helmet is perfect for a novice rider who is looking for a cheap motocross helmet. 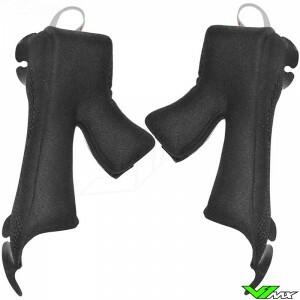 The Hunter is made of a thermoplastic outer shell which has an aggressive and streamlined design. The Helmet is equipped with removable inner liner and check pads for easy cleaning. In addition, the inner liner went through a hygienic treatment. To enhance the comfort of the motocross helmet, it has a ventilation system. Ventilation openings at the front ensure the supply of fresh air. The air flows around the riders head to the rear ventilation holes, where the hot air is discharged. 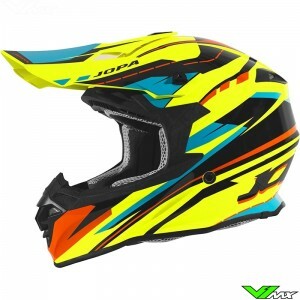 Accessories for your Jopa motocross helmet are also available at V1mx. In most cases a broken peak can easily be solved, since we have most of the peaks available from stock. 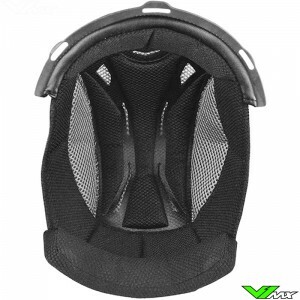 You can also replace the interior of the helmet, such as the central lining of cheek pieces. The Table belwo shows the sizes ffor the Jopa motocross helmets. You can easily measure the size you need at home. Take a measuring tape and measure the largest diameter around your head. Start about 2cm above your eyebrows and keep the measure tape above your ears and round the back of your head at the biggest point. Do you have any question about the motocross helmets from Jopa? Feel free to contact V1mx, we will gladly help you chose the right motocross gear. We can give you advice about the purchase of a new helmet, because of our own motocross experience and knowledge of the products. The required size can easily be determined by checking the size charts. Each helmet has the size chart displayed in the product description.